AppAdvice has teamed up with Brisk Mobile, our latest AppAdvice Daily podcast sponsor, in order to offer you a chance to win Black Water ($0.99) for iPad. You get to play as a young man who on his way to fulfill his father's dream of running a successful ranch. But your plans take a turn for the worst when you witness a sheriff getting gunned down in a small dusty town called Black Water. Being a noble man, you just can't turn a blind eye, so you take on the role of deputy to try and discover what's really going on in this remote town. You begin your adventure without a whole lot to work with. It's just you and your trusty pistol. Make your way around town by drawing lines in the sand with your finger and complete basic objectives to unlock the secrets of Black Water while protecting its citizens. 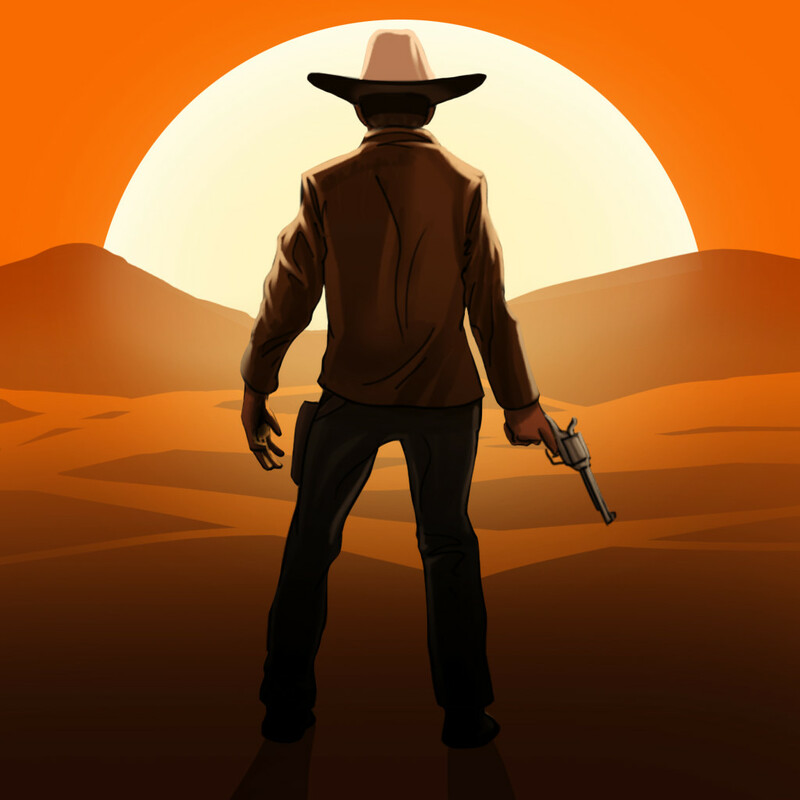 Since this is the Wild West, you're going to come across a whole lot of dirty scoundrels, and you can stop them in their tracks by tapping on them to fire your pistol. Some of your enemies will have loot on them, and you must make sure to scavenge everything you can from them because your objectives will become more daunting as you progress. You can use the loot to purchase new weapons, ammo, and supplies to keep the fight a fair one. You are also able to earn stars from successfully completing objectives, which can be used to upgrade your character's attributes. 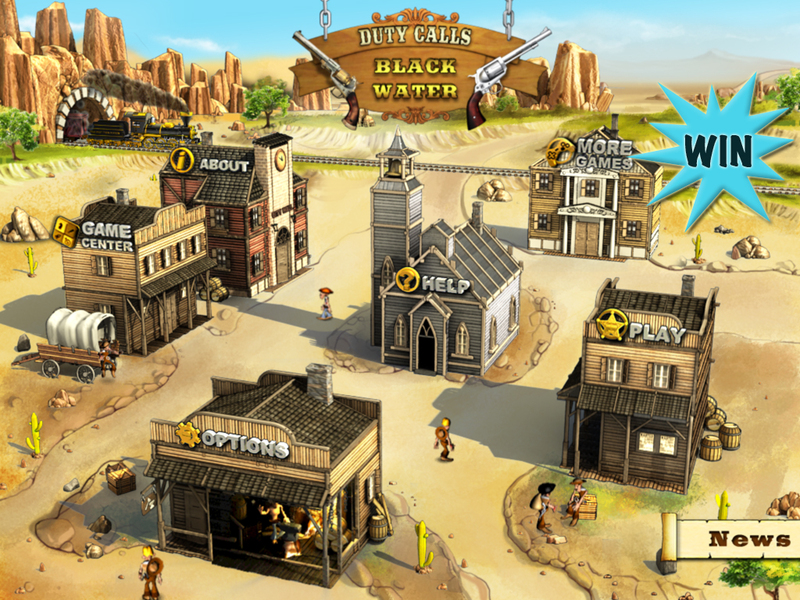 Black Water features an epic adventure story told through comic strips, and includes a variety of dynamic environments to explore, more than 30 weapons, over 50 skill level upgrades, and a full set of achievements via Game Center. To have a chance at winning one of two Twitter designated Black Water promo codes, simply retweet this article before 11:59 p.m. PDT tonight (September 28). We will then search the Twitterverse for all of the retweets and randomly choose our lucky winners. The winners will be notified via Twitter, so please be sure to follow us so we can send you your promo code via a direct message. Non-Twitter users and those of you who want to increase your odds of winning can leave a relevant comment below before 11:59 p.m. PDT tonight to have a chance at winning one of the other four promo codes. Feel free to participate in the giveaway via either or both methods. Only one entry per person per method is allowed, totaling up to two entries per person if using both. Good luck!